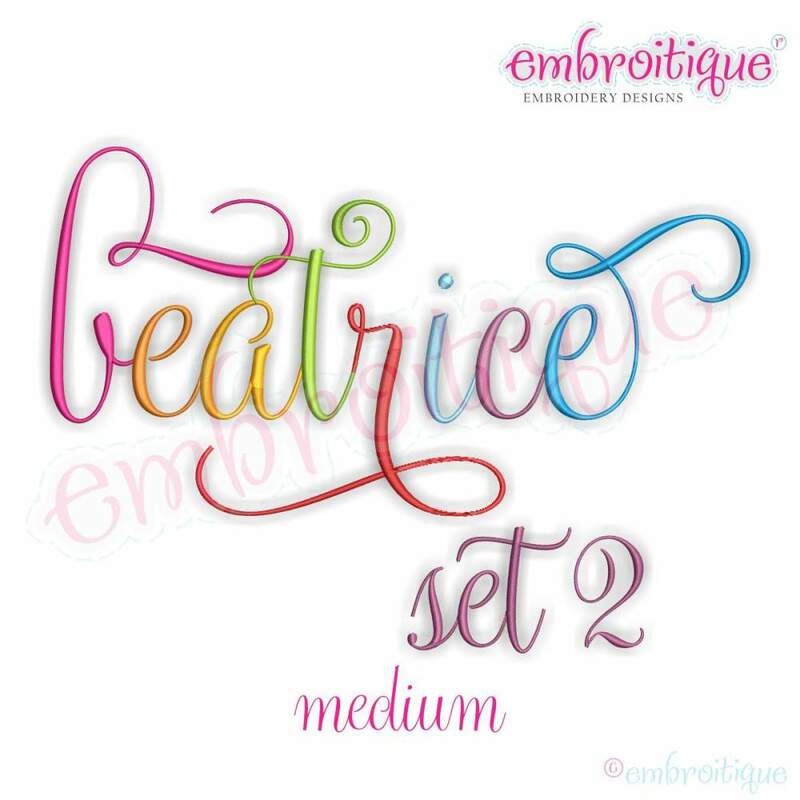 Beatrice Monogram Set 2, Medium - 4 Sizes! Upright, Scripty, Calligraphy Font. These are fancy alternate letters to be used with our other Beatrice Monogram Sets, each sold separately. The listing picture is a combination of Beatrice Set 1 & 2. Sizes below are proportionate to the capital A in Beatrice Set 1. Some letters are wider due to swirls and may require a larger hoop. These are fancy alternate letters to be used with our other Beatrice Monogram Sets, each sold separately. The listing picture is a combination of Beatrice Set 1 & 2. Sizes below are proportionate to the capital A in Beatrice Set 1. Some letters are wider due to swirls and may require a larger hoop. Beatrice Monogram Set 1, Medium - 4 Sizes! Bethany Monogram Font - 4 Sizes! 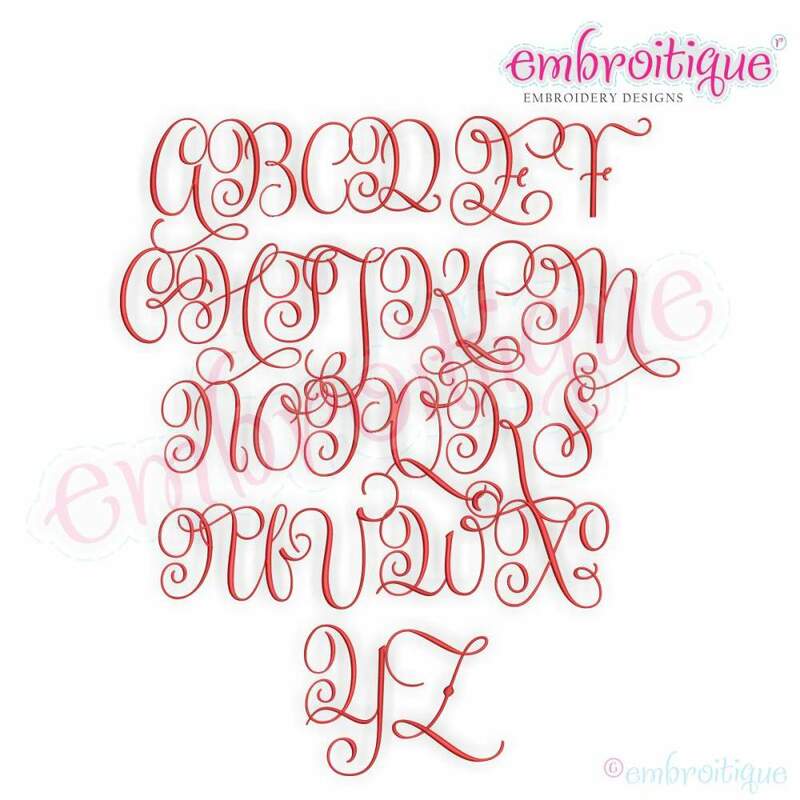 Deco Font Frame 2 - 8 Sizes! 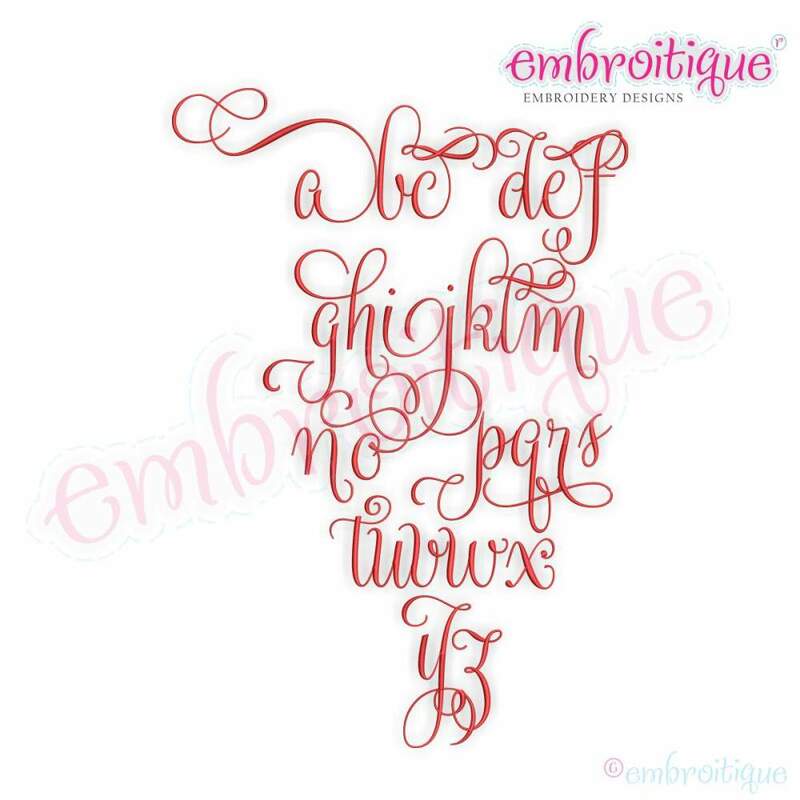 Emily Monogram Font - 4 Sizes! Finish Size 1.87" x 2.56"
Finish Size 2.09" x 2.88"
Finish Size 2.41" x 3.31"
Finish Size 2.63" x 3.61"